Beekeeping can be quite a puzzle for beginners. Even professionals are also bound to forget a thing or two every once in a while. A beekeeping book comes in handy for both of these groups. While websites such as BeeKeepClub are a good source of information, books go far more in depth. With many authors and publishers in the beekeeping industry, you may not be sure which book you should buy. That’s why we decided to compile a list of our opinion of the best beekeeping books. Let’s check them out. First Lessons in Beekeeping introduces the basics of beekeeping to prospective beekeepers. In writing the book, Keith S. Delaplane uses text that is easy to understand and a good number of color photos. The book contains information about honey bee biology, management, beekeeping equipment, honey production; honey processing, honey bee disease diagnosis and treatment. First Lessons in Beekeeping opens the world of beekeeping and honeybees to beginner beekeepers. It is a nice guide through your first stumbling steps in beekeeping. Of note, this book is often included in beekeeping starter kits. This beekeeping book is available in paperback. Beekeepers interested in the book may buy it new or used. A used copy of First Lessons in Beekeeping is cheaper to purchase. Additionally, once you outgrow the book you will not feel much of a loss. It is a good book for beekeepers who are taking their first steps in beekeeping but not much more. Professionals who may already have three or more beekeeping books will not find much value in this one. 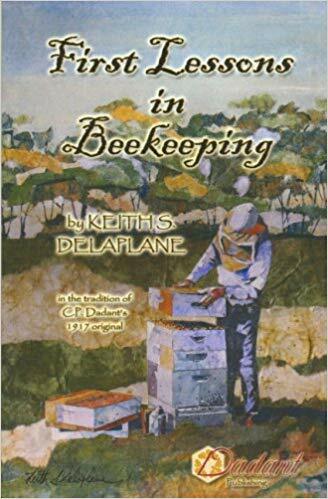 The author of First Lessons in Beekeeping, Keith S. Delaplane, is a professor of Entomology. He has headed honey bee research at the University of Georgia. Keith Delaplane has had a long association with beekeeping and honey bees. In the 166-page First Lessons in Beekeeping, he shares insightful information and gives beekeepers a deep understanding of bees and how they work. He delves into the details of beekeeping and includes some highlighted paragraphs for beekeepers to note. The book is not dumbed-down even though it aims to educate amateur beekeepers. First Lessons in Beekeeping is published by Dadant & Sons. The first edition of this book hit the shelves in 2007. While beekeeping may not have changed much since then, some practices may have become outdated. The book should thus be read alongside a more recent beekeeping publication that has more updated beekeeping information. Unfortunately, the book is not available in a Kindle format. Clive de Bruyn is the author of the Practical Beekeeping. This beekeeping guide book lays out information in an easy to digest manner. Clive de Bruyn breaks down beekeeping into separate topics in the book. Information in Practical Beekeeping is given in manageable amounts that readers can easily absorb. The book shares knowledge and experience gained by the author over a period of more than 30 years. Practical Beekeeping is organized into topics that cover the factors necessary to produce honey. It looks at honey bees, weather, forage, equipment, management the beekeeper himself and marketing of processed beekeeping products. It also delves into the different methods of packaging beehive products. These important areas are the main sections of the book. An index section is also included in the book. Different beekeepers read books in different ways. For those who may not be in a position to read the book from cover to cover, the table of contents and index are great tools. They save you from having to read the book in its entirety at one sitting. These two sections of the Practical Beekeeping allow you to search for a specific topic of interest and read that section only. Some of the sections in Practical Beekeeping are standalone. Most however are interlinked to other sections. Often, you will find you need to read a chapter at most to quest your thirst for knowledge about an area of beekeeping. Cross references are included where one section draws from another. Successful integration of the teachings you find in Practical Beekeeping with your beekeeping practice is a sure way to enjoy beekeeping. The book is set out to be useful to beekeepers that are new to the craft and those who have some experience. The book was first published in 1997. It utilizes photographs and commissioned illustrations from the author. You can read a sample online over at Amazon.com. Beekeeping experience is not easy to come by. Beginners in beekeeping rely on the experience and skill of other beekeepers to successfully enter beekeeping. 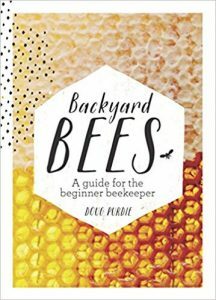 A number of books for beginners such as the Backyard Bees: A Guide for the Beginning Beekeeper can be found in the market. The book is authored by Doug Purdie. This beekeeping book is available in hardcover and e-book formats. Modern beekeeping only requires some bit of space and a love for bees. The Backyard Bees: A Guide for the Beginning Beekeeper is a beekeeping book written to guide you in installing your first beehive and maintain it over time. The book shows you how easy it is to have a healthy swarm of bees in your hive and when to harvest honey. It imparts extensive advice about how to choose a hive. It also enlightens you on the equipment you need to run a successful beekeeping operation. The author saw it fit to also include some 20 recipes for honey in the book. Certainly can come in handy. This is a good beginning book for urban beekeeping. It highlights why more people should take up beekeeping. The book takes a glimpse into the threats facing bees as well. It covers the life cycle of bees, diseases that affect bees and the issue of neighbors. The book is not technical. It may not be relied on solely as a guide but is a good addition to your beekeeping resource books. It has vibrant pictures that clarify the information in the book. Any beekeeping beginner reading Backyard Bees: A Guide for the Beginning Beekeeper, gets a book worthy keeping for some time. As they gain more experience, the book serves as a basic beekeeping knowledge resource. Professional beekeepers that may already have a beekeeping book library are also well suited to a copy. The book was published in 2014 and has a lot of well researched and updated beekeeping information. There are many problems and challenges beekeepers encounter. 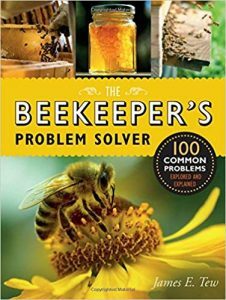 The Beekeepers Problem Solver – 100 Common Problems Explored and Explained looks at these problems that beekeepers meet and further explores the solutions to these problems. 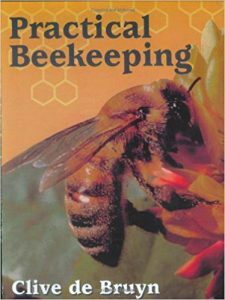 This beekeeping book gives beekeepers a deep understanding of what is required for successful beekeeping. The book explores critical areas of beekeeping including hive management, health requirements of bees and beehive management. The Beekeepers Problem Solver – 100 Common Problems Explored and Explained is authored by James E. Tew. In the book, he shares useful information with attention to detail. This beekeeping book is a true reflection of the commitment that beekeeping requires. James E. Tew is an experienced beekeeper and apiary management expert. Each of the problems in the book is tacked in an in-depth manner. Diagrams and photographs are used alongside text to share a wide array of insights and practical tips with beekeepers. Losing your hive or getting low yields of honey is a thing of the past once you are able to keenly follow and apply the information in this book. You are able to identify and address problems in your bees at their early stages. This is especially important since bees tend to disguise problems from the casual observer. The Beekeepers Problem Solver – 100 Common Problems Explored and Explained helps you develop a keen eye for these bee problems. Ready solutions from the book are a great bonus in a beekeeping book. A downside however of the book is that it does not go into the details of how to implement some of the solutions given. Even with a copy of the book, you will need to have a ‘how to’ book separately. With beekeeping attracting more and more people every day, DIY guides in beekeeping are seeing more demand. The Beginners Guide to Beekeeping – Everything You Need to Know, helps you raise bees as an enjoyable pastime. This book is written for both the backyard beekeeper and larger scale beekeepers. The book shows you how beekeeping can become easy with enough practice. The book answers a lot of questions that prospective beekeepers may ask. It covers setting up your beehives, caring for bees and beehives, and harvesting honey from your honeybee colonies. The authors of book are Daniel and Samantha Johnson. These are two skilled beekeepers with years of experience between them. They write well and share their skills with you in an easy to understand way. This beekeeping book has the veterans guiding you through the dos and don’ts of beekeeping. From start to finish, the authors walk you to raising a healthy and happy beehive of honeybees. Beekeeping can be as rigorous as it is rewarding. This book is a good guide to help you in making any crucial decisions you may come across. These include when to start beekeeping, where to practice beekeeping and how to go about establishing your beehive. The book has excellent information and tips covering bee anatomy and behavior, considerations about beehive location, installation and maintenance of your beehive with bees in it. This is a book that works for both beginners and pro beekeepers. It is worth having a copy of this book lying around. For lovers of e-books, copies of The Beginners Guide to Beekeeping – Everything You Need to Know are available for Kindle. In Flexibound, the book has 176 pages of information to share with you. Homegrown Honey Bees – Absolute Beginners Guide to Beekeeping, is a book that covers your first year in beekeeping. It has information regarding the process of setting up beehives to harvesting honey. The book is authored by Alethea Morrison. Photography in the book by Mars Vilaubi shows you the inner workings of beehives. 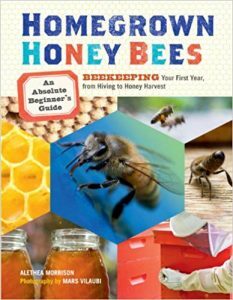 Alethea Morrison has in Homegrown Honey Bees – Absolute Beginners Guide to Beekeeping, shared the joys of backyard beekeeping and outlines most of what beekeepers need in their first year. In-depth discussions centered on bee behavior, colony hierarchy and allergies are found in the book. Informative writing used in the book energizes and encourages beekeepers who read it. Amateur beekeepers and hobbyists are very well suited by Homegrown Honey Bees – Absolute Beginners Guide to Beekeeping. It does not have much for already pro beekeepers. It is however a great book to have as a reference even when you have been at beekeeping for some time. The information in the book is handy for the times you when need to address a problem in your beehives or with your bee colonies. Homegrown Honey Bees – Absolute Beginners Guide to Beekeeping is sold in Kindle and Paperback formats. The book is widely available both online and at bookstores. Due to its ease of reading and following, the book is a great gift to give to a beekeeper that is just starting out in beekeeping. Confidence in beekeeping is only achieved if you are sure of what you are doing. The Homegrown Honey Bees – Absolute Beginners Guide to Beekeeping is an indispensable book that makes you a happy confident beekeeper. This beekeeping book lives up to its promise. It has 160 pages in its paperback format. It is published by Storey Publishing, LLC. This beekeeping book is excellent for backyard beekeepers. It has information about getting started with your first colony. It also guides you on beehive assembly and maintenance. The Beekeeping for Dummies 4th Edition enables you to easily breeze through the various stages of honey production. Additionally, don’t mind the ‘Dummies’ in the title, that’s just the publisher’s thing. This book is suited for all skill levels. 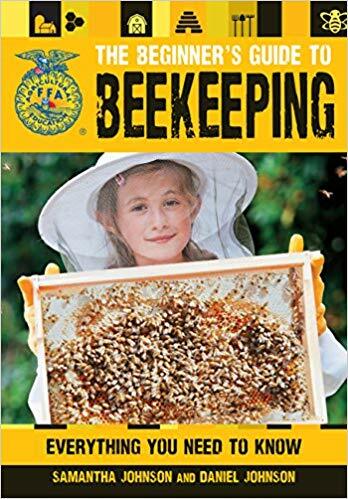 This 4th Edition of Beekeeping for Dummies uses both text and pictures. It is adequately descriptive as a guide for beekeepers. While beginners are especially suited by this book, it provides a good reference for professionals too. It is a good source of information to help you make more informed decisions in beekeeping. There are 6 areas of beekeeping covered in Beekeeping for Dummies. They include management of a Langstroth and top bar hive, keeping bees in the suburbs and city, and how to get bees and keep them safely. The book also delves into beehive inspections and maintenance. It gives you information about identifying and fixing common problems with your bees and beehive. 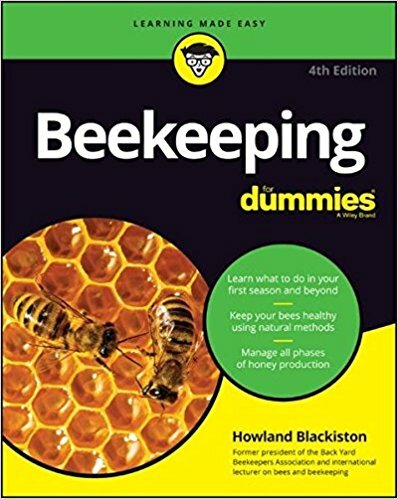 Beekeeping for Dummies is authored by Howland Blackiston. He shares with you more than 30 years of beekeeping experience and tips. This beekeeping book is sold in both paperback and e-book versions. The e-book is designed for Kindle readers. There are 480 pages in the paperback version of the book. Howland Blackiston uses simple language and a friendly tone in his book. This former president of the Backyard Beekeepers Association presents information clearly and easily digestible. Technical language that would be too difficult to understand for amateur beekeepers is rarely used in the book. Beekeeping for Dummies is basic and gives you a very thorough introduction to beekeeping. Beekeeping for Dummies is a good starter book. It gives you a strong foundation of information to jump from. Other more advanced beekeeping books you read will be easier to understand once you have been through this one. The complex and time honored tradition of beekeeping becomes enjoyable with a copy of The Backyard Beekeeper 4th Edition. Since it was first written, The Backyard Beekeeper has guided beekeepers of all skill levels in both urban and rural settings. New information in The Backyard Beekeeper 4th Edition includes information for urban beekeepers, how to use a smoker in the right way, honey bees’ pests and diseases management, feeding your honeybees with good food consistently and with the right abundance and how to improve the health of your bee colony. The book is authored by Kim Flottum and published by Quarry Books. The fourth edition was released in January 2018. Kim shares experience and skills gained over a period of more than a decade in the book. 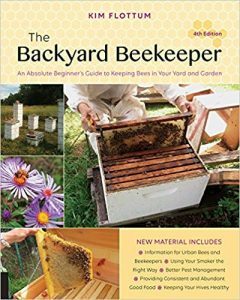 The Backyard Beekeeper is a handbook for beekeepers of all skill levels. Beginners may read other books alongside this one. Expert beekeepers that have a significant level of beekeeping knowledge should also have a copy of book with them. A number of recipes for products made from beehive products are found in the book. They include creams, balms and butters. This beekeeping handbook features useful expert advice about setting up and taking care of bee colonies, selection of a location for your beehive(s), practical and safe ways to take care of honeybees, using top-bar hives, swarm control, problems that bees may develop and how to address them, beehive products harvesting and their various uses. The Backyard Beekeeper is a complete beekeeping resource with its 240 pages of content. The book is visually appealing and an interesting read with it illustrations, photographs and callouts highlighting the very critical pieces of information. 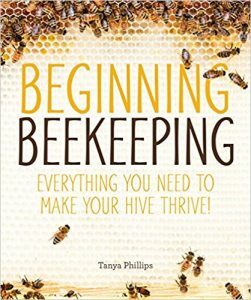 Tanya Philips, the author of written Beginning Beekeeping: Everything You Need to make your Hive Thrive, is a prolific beekeeper with a large apiary in Texas, USA. She shares her passion of beekeeping along with knowledge and skills about the practice of beekeeping in the book. The book is sold in Kindle and paperback format. It has 192 pages and contains more than 100 color photos that make understanding the contents of the book very easy. Beginning Beekeeping: Everything You Need to make your Hive Thrive is a great overall guide for amateur beekeepers. The book is well researched and detailed. It also incorporates some practical beekeeping skills. This makes it very well suited as a book that will help you move from being a beginner to an intermediate beekeeper. As you gain beekeeping experience, it is good to have a copy of the book for reference purposes. The text in Beginning Beekeeping: Everything You Need to make your Hive Thrive is easy to understand. It is broken by pictures and gives easy to follow instructions to beekeepers. The book is quite informative. It launches you into beekeeping with confidence. Additionally, the book manages to impart a love for bees and beekeeping to its readers. The information in the book is relevant, pertinent and has a very clear layout. Beekeepers look for useful information from beekeeping books that they can apply in their apiaries. Beginning Beekeeping: Everything You Need to make your Hive Thrive gives you practical tips about swarming, and cross combing. It is one of the few beekeeping books looking at the importance of beekeeping records. This book is a recommendable purchase for both beginner and intermediate beekeepers due to its all-round information. 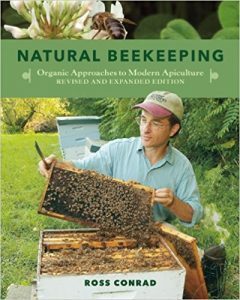 In Natural Beekeeping: Organic Approaches to Modern Apiculture, 2nd Edition, Ross Conrad has put together 304 pages of excellent information for all beekeepers. The book is suitable for both beginners and experienced beekeepers. The author is a prolific writer in beekeeping circles and has been at the lead of bee-related presentations. Additionally, he has taught in beekeeping classes and workshops. He also runs a beekeeping business that that sells beehive-related products. The 1st edition of Natural Beekeeping: Organic Approaches to Modern Apiculture was published in 2007. The 2nd edition has included more up to date information and incorporates information about organic beekeeping. The book is an excellent guide on chemical-free beekeeping and how to manage beehives organically. It is published by Chelsea Green Publishing. The revised second edition was released in March 2013. It is available in Kindle and paperback formats. The 2nd edition of Natural Beekeeping: Organic Approaches to Modern Apiculture has great content about urban beekeeping, marketing of honey and beehive products and top-bar beehives. Novices are treated to a resource list and comprehensive glossary in the book. The two resources in the book are useful when you are searching for equipment, relevant agencies and beekeeping supplies. The book helps you boldly face the unprecedented challenges that beekeepers often encounter. An easy tone in writing and the personal experiences of the author make Natural Beekeeping: Organic Approaches to Modern Apiculture one of the best beekeeping books that every beekeeper should have. Additional beekeeping books can be purchased to supplement this one. It is recommended that beekeepers should have at least four beekeeping books in their possession. This book must definitely be one of those four you keep in your library. Beekeeping books have varying levels of information. The depth of details also varies from one book to the next. Our picks of the best beekeeping books are good for both beginners and professionals. You may buy one for beginners and one for professionals so you are ready for when you will be more experienced. The books help you keep healthy bees for maximum honey yields. What other book would you add this list? Leave a comment below and let us know.